If you are finding the possible applications of DC motor in our daily life then you are the right place. In everyday life, Motors are used with the help of DC supply or A.C supply. In this article, we are going to discuss the applications of DC motor in everyday life. we will discuss all applications of dc series, dc shunt, and dc compound motor also. 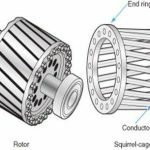 5 Why D.C motors are used? D.C motor is an electrical motor which only runs on dc supply. The traditional DC motor needs two current supplies, one through the stator windings to provide the magnetic field and the other through the rotor windings to interact with the magnetic field to generate the motive force. Currently, series, shunt, and compound motors are used which require only one voltage supply. dc motors are still found in many applications as small as toys and disk drives or in large sizes to operate steel rolling mills and paper machines. According to characteristics of dc motor, motors are used in the application. Here we will see the types of D.C motors and their applications. ⇒ DC series motors are used where high starting torque required. These motors are only used where the variation of speed is possible. series motors are not suitable for constant speed applications. ⇒ DC series motor is used in a vacuum cleaner, traction systems, sewing machines, cranes, air compressors etc. ⇒ DC shunt motors are used where constant speed is needed. So these motors are commonly used in fixed speed applications. ⇒ This type of motor is used in Lathe Machines, Centrifugal Pumps, Fans, Blowers, Conveyors, Lifts, Weaving Machine, Spinning machines, etc. ⇒ By compound motor, we get high starting torque and nearly constant speed. Because of that Compound motors are used where we require high starting torque and constant speed. ⇒ A compound motor is used in Presses, Shears, Conveyors, Elevators, Rolling Mills, Heavy Planners, etc. Why D.C motors are used? Speed control of dc motor is just simple: only adjust the terminal voltage, often using a local potentiometer. Until the late of the 1980s, when the variable frequency drive was not invented, dc motor was the best option for variable speed application. Shunt motor: This motor runs at a constant speed when the supply voltage is fixed. This motor can be also reversed by reversing the connections of motor same as a series motor. In this motor, torque can be increasing, without a decrease in speed by increasing motor current. Compound motor: Compound motor characteristics depend upon type whether it is cumulatively compound or differential compound. Characteristic of the compound motor is the combination of both series dc and shunt dc motor. A cumulative compound can develop high starting torque at low speed like a series motor. This motor can run at reasonable speed and will not run with dangerously high speed like series motor, on light or no load condition. We can also run this motor at a constant speed. Hope now you understand well about the everyday uses of DC motors. We saw some examples of applications of DC motors also above. if You have any question related to this, comment below. hope you truly understand about all different type of dc motors and their application. we saw in detail where dc series motors are used?. dc series motors are used for both low and high power drives, for both fixed and variable speed drives. we saw some of the examples above. after that, we saw the application of dc shunt motors. Dc shunt motors are used in constant speed applications. it is used in lathe machines, pumps, conveyors, lifts etc. we also saw applications of dc compound motor. It has the good starting torque and nearly constant speed also. So it is used in Presses, Shears, Conveyors, Elevators etc. if you have any doubt related to this article kindly comment below. Clear concept by your article. 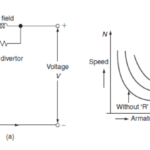 Thank you for this complete solution related to application of DC motor. Thank you sir. Above all information is very helpful for me to better understanding the concept of DC motor…….